Rent or buy compaction Equipment? There are lots of things to consider when choosing a compaction solution for a store’s waste management. Size, capacity, the way in which the waste is to be compacted, and so on. You also need to decide whether you want to rent or buy the equipment. Purchasing involves a large initial investment cost, while renting involves a clear, fixed monthly fee. 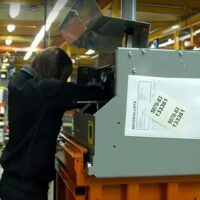 Since waste management is a part of a company’s business that does not face the customers or drives sales, few people want to spend a lot of money on it. 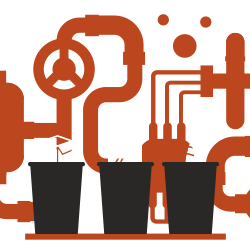 Long-term needs are another reason to question an investment in a new or updated waste solution. Is this a temporary peak, or does the solution need to be adapted as the business evolves and waste volumes increase? Many people assume that compaction solutions are only available for purchase. However, the alternative – renting – can offer significant benefits, especially for businesses that are aligned with cyclical fluctuations and whose needs can change rapidly. Renting negates the need to invest in a solution that may not be sustainable over the long term. The results are seen faster – rental costs are easier to recoup. 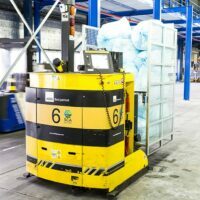 Companies without an existing compaction solution and that are weighed down by the cost of frequent waste transport may see a pay-off from the first month of rental. No tied-up capital. When purchased, the cost is recorded as a fixed asset in the balance sheet, while rent is instead recorded as a regular expense in the income statement, which does not affect investment capital. Flexible solutions based on your needs. If your needs change during the rental period, in some circumstances you can swap your solution. Shorter decision-making paths. Major procurement decisions often have to be made at the executive management level. In the case of a fixed rental cost, in many cases these decisions do not need to be escalated, which reduces the time it takes to implement the change. How often a machine should be serviced is based on how often it is used. Generally speaking, one service visit a year is sufficient, but if, for example, the equipment is used in a three-shift industry, every day of the year, more service visits may be required. 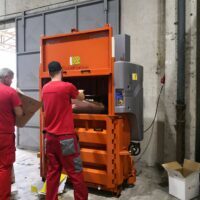 When renting, there are flexible service solutions too, which means that the recommended service intervals can be planned based on the machine’s workload. When choosing a compaction solution, it is important that you choose a supplier that understands your needs. Choosing a one-size-fits-all solution is rarely a good idea, because this is not based on a deeper understanding of how your business actually works. At Orwak, we want to help our customers make the decisions that will benefit them the most in the long run. Contact us and we are happy to advise you to make the right decision, regardless of whether you want to rent or buy.